This recipe is perfect for when you run out of eggs or for those with egg allergens. 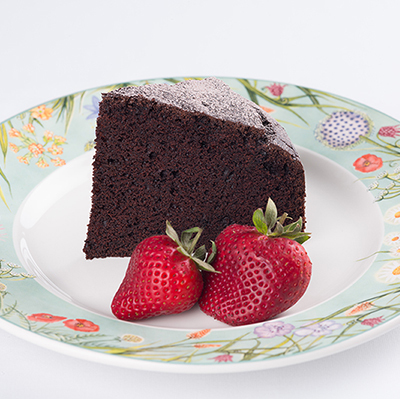 See how to make your beautiful Rich Eggless Chocolate Cake right here. Melt the butter and chocolate together over low heat or in the microwave. Mix in the sugar. Sift the flour, cocoa, baking powder and baking soda together and add to the chocolate mixture. Mix the water, vanilla and DYC White Vinegar together and add to the chocolate mixture. Beat until the mixture is smooth. Pour into a baking paper bottom lined 20 centimetre round cake tin. Bake at 150 degrees C for 45 – 55 minutes or until an inserted skewer comes out clean. Cover with a clean cloth and stand in the tin for 10 minutes before turning onto a cooling rack. Ice with chocolate icing or dust with icing sugar and cocoa mixed together.